A BAG STRONG ENOUGH FOR YOUR TOUGHEST JOBS. Our Haultail® Contractor Bags can carry up to five times the amount of waste that a typical trash bag can hold. 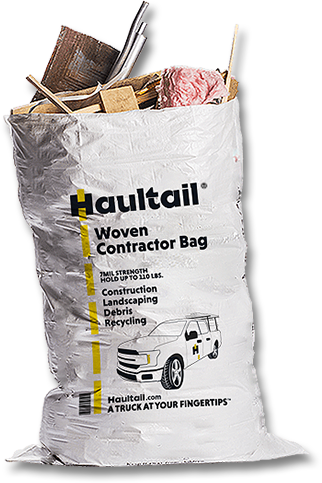 When you need a heavy duty trash bag, you need a Haultail® Contractor Bags!